Feels like it’s been a very long time since I’ve posted. It hasn’t been very long, but it feels that way just because so much else has been going on. With the divorce, and moving, and my brother being ill … after the end of “Folk Dance Season” in New England, I put down the box for a few months and just didn’t think about it. But now I am in the new place. There is space and light, and the Shadows seem to have fled from the land. Let’s hear it for new beginnings, which, as usually, I celebrate by playing old songs. The mazurka in this video is one of the old ones, untitled, collected by Mel Stevens, and available in the Mallinson’s Bal Folk book. As is my wont with untitled tunes, while teaching it to a student, I gave it the title, “Hannibal’s Mazurka.” I do love my Roman/Carthaginian history, and who are we to deny elephant’s in the alps their right to mazurka? For some reason, that landing on the IV chord at the beginning of the B part seems especially touching. Hits you right in the feels. UPDATE: Yes, I have shaved my head. And, no, I did not realize my legs looked like THAT. 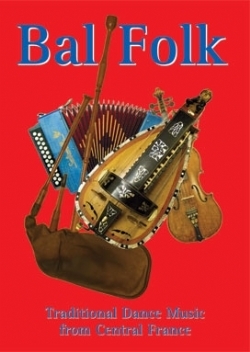 After posting my review of the Bal Folk tune book, I managed to talk to both Dave Mallinson — publisher of the tunebook — and Mel Stevens — compiler of the iconic pink/blue Massif Central tune books that Mallinson’s book is based on. I had some questions. First, how did Mallinson go about editing the two books into one? How did he make the decisions he made? Second, who are Trevor Upham and Chris Shaw, who wrote a bunch of tunes in the new book? And, third, why isn’t Mel Stevens even mentioned on the new edition? He did, after all, transcribe and compile the master set. I published Bal Folk because I bought the Dragonfly catalogue several years ago. The selection was made by eliminating any tunes that had possible copyright problems. Trevor Upham and Chris Shaw are friends of Mel Stevens who write excellent tunes in the style of the rest of the book. All the editing, re-naming and additions were at the request of Mel Stevens. Bal Folk has been thoroughly checked by Mel and extensive corrections have been made. When I first became interested in French music there was very little in print. During the period 1979-1984 I picked up a lot of music in France. This came from recordings I made of folklore displays, folkdance workshops, dances, sessions, and festivals, anywhere where trad music was being played. This was initially to develop my own repertoire. These are the tunes that ended up in the Massif Central tune books. I have, however, been unhappy about these books and their inaccuracy for several years, and when Dave Mallinson took over Dragonfly, I told him that I did not want them reprinted. Bal Folk was a compromise whereby Dave took over ownership and kept a French tune collection for his catalogue. Stevens requested that his name not be on the book. Additionally, Trevor Upham and Chris Shaw are not merely friends of Mel Stevens, but bandmates in the group GIGCB (The George Inn Giant Ceili Band). So, cheers to Stevens for compiling the original thing, and to Mallinson, Upham, and Shaw for keeping this vital resource alive! As always, any questions, comments, or corrections are welcome. Central Tunes back in print. In 1998, when I bought my Hohner Corso from the Button Box, I also picked up two books that changed my life easily as much as the Corso itself. Actually, I only bought one, the pink one, volume one of Mel Stevens The Massif Central Tune Book. It was one of those bizarre fits of frugality. I was spending hundreds on the accordion, but another fifteen dollars to get volume two of the set? Such frugality could not stand. That night I tossed and turned. Was I really going to leave Amherst without that book? The next day I went back and got volume two, the blue one, and headed home. In such a feeble manner I acquired the bedrock texts of my musical life. I don’t have all the details regarding the history of these books, but here is what I’ve pieced together. 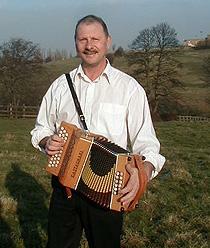 Stevens’ books, published by Dragonfly Music in 1987, contained 240 traditional dance tunes from Central France. This is the repertoire. Unfortunately, both the pink and the blue volumes have been out of print since the early 2000s. For a number of years you could get them directly from Stevens, but the idea that these were basically unavailable seemed pretty outrageous. Enter Dave Mallinson, a British publisher of traditional music tutorials, tune books, etc. Mallinson bought the rights to all of Dragonfly’s stuff. It took a while for the material to come out, but in 2010 Bal Folk: Traditional Dance Music from Central France were released and the music of the pink book and the blue book became available again. First of all, let me just state clearly that Bal Folk is a fantastic set and will serve any musician well in acquiring the right tune-age. But there are differences between this one book collection and the pink and blue set. For one thing, it’s clearly labeled that Bal Folk contains a “selection” of tunes from the Dragonfly books. The Dragonfly set had 240 tunes, Bal Folk has 214. The tunes that seem to be missing are those that were contemporary, some written by members of La Chavannée. Frédéric Paris, Patrick Bouffard, Maxou Heintzen etc., all have credits in the pink and blue books. Presumably, Mallinson was unable to include those for reasonable copyright reasons. He did decide to include around twenty original tunes by two English musicians, Trevor Upham and Chris Shaw. I had not encountered either of those gentlemen before, but they are perfectly delightful tunes. I would be curious to know how Mallinson made the decisions he did. Regardless, I’ll continue playing tunes from this book and recommend you do the same. It’s a great collection, no doubt, and for anyone encountering it for the first time it can be the same sort of gold mine that the pink and blue books were for me.